I saw this over a year ago on the Elsie Marley blog and never did anything with it until now. I thought about embroidering something on it but just went with the fun fabric instead. 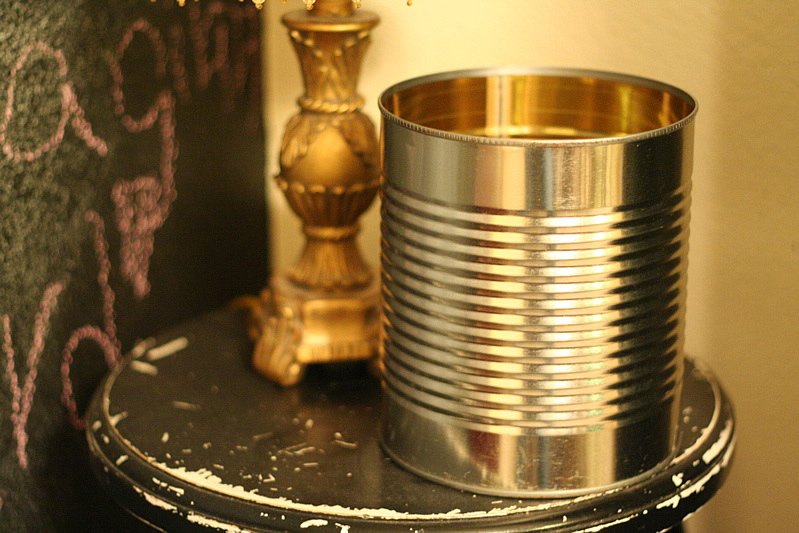 What a great way to recycle your cans. 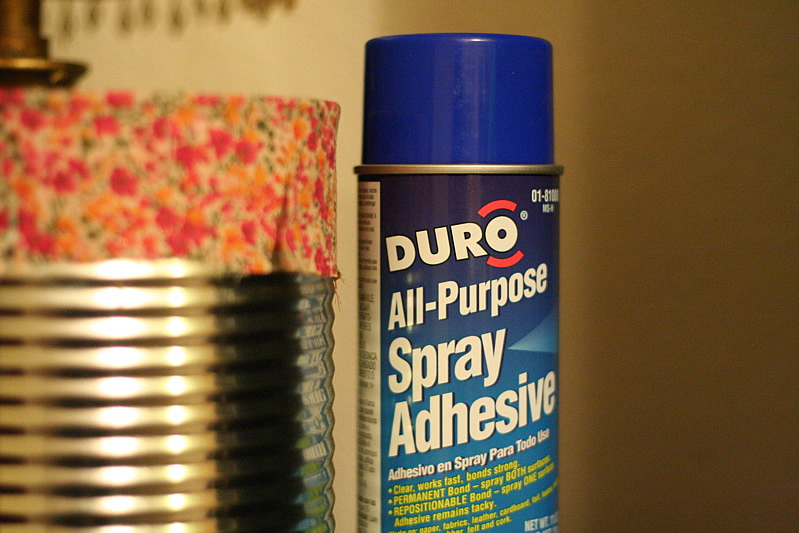 I used this spray adhesive instead of the glue gun cause the adhesive makes the fabric lay flat. I am not the best at sewing by hand. 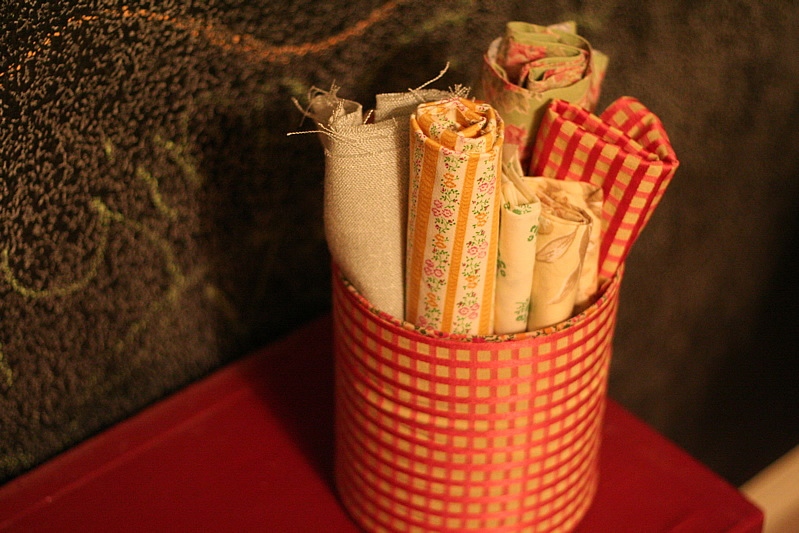 I am storing my scraps of fabric in this but I think this would be a great alternative to a gift bag. You could even add a wire or ribbon handle. 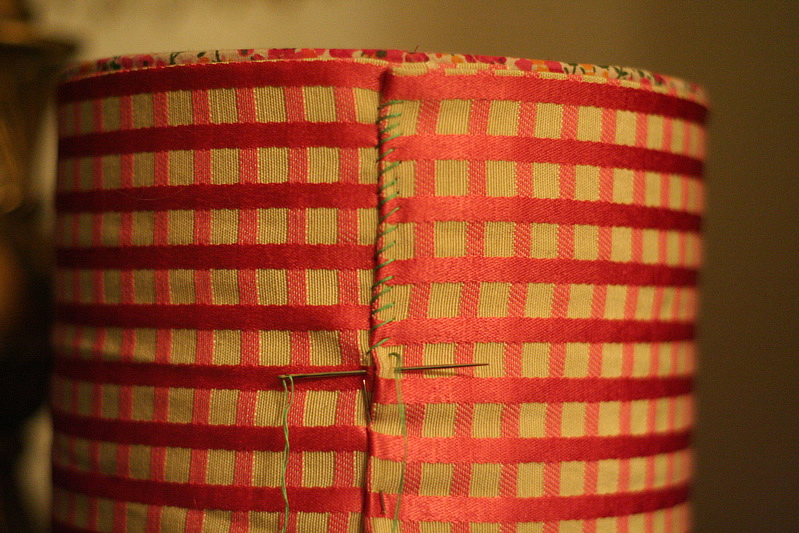 For Elsie Marleys complete instructions click here. 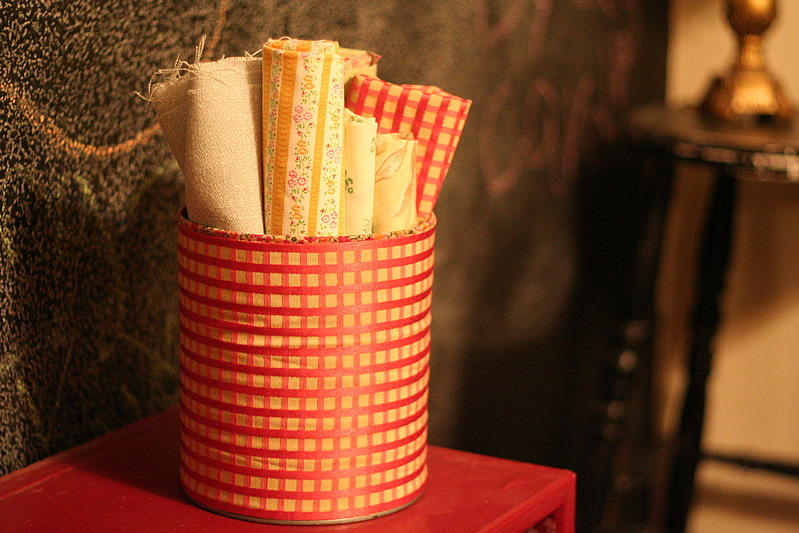 This entry was posted in DIY, I made this!, recycle, tutorial, upcycle on February 8, 2010 by Deanna.